Jeremy raced to first in the 100 IM and won the 11-12 boys Pentathlon. Anthony, Jeremy, Chantal and Neo were crowned Pentathlon champions at the 2016 Canmore Pentathlon on the weekend. 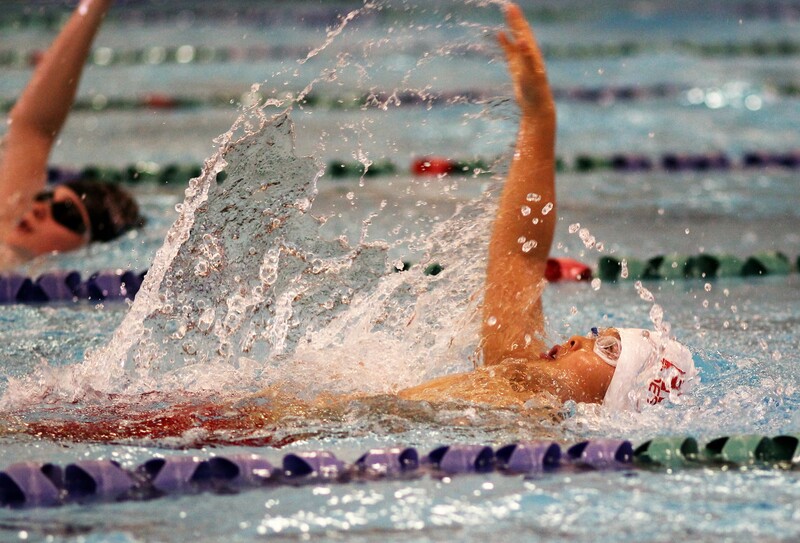 The scoring format adds up swimmers’ times from 5 events, the 100 IM and 50s of each stroke (25s for 10&U). Swimmers with the fastest overall times win the Pentathlon for their age group. Neo led the boys with three new club records, four gold and a silver, and PBs in all of his events. In the 50 fly, both Neo and Sam went under the old club record of 29.01, with Neo just out touching Sam for the win and the record. Chantal led the girls winning 3 gold and a silver and she broke Coach Alex’s 50 breast record from 2008. Anthony had PBs in all of his races and won 4 gold and a silver. Jeremy won gold, 2 silver and 2 bronze with PBs in all of his races. Miles – 2 silver in his first meet! Keith – 2 gold in his first meet! 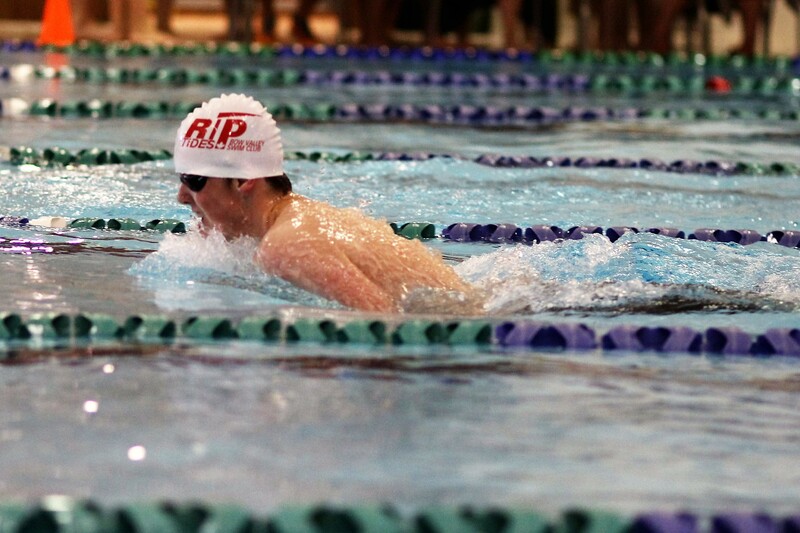 Sam powered to 1st in the 50 breast in his first meet as a Riptide. 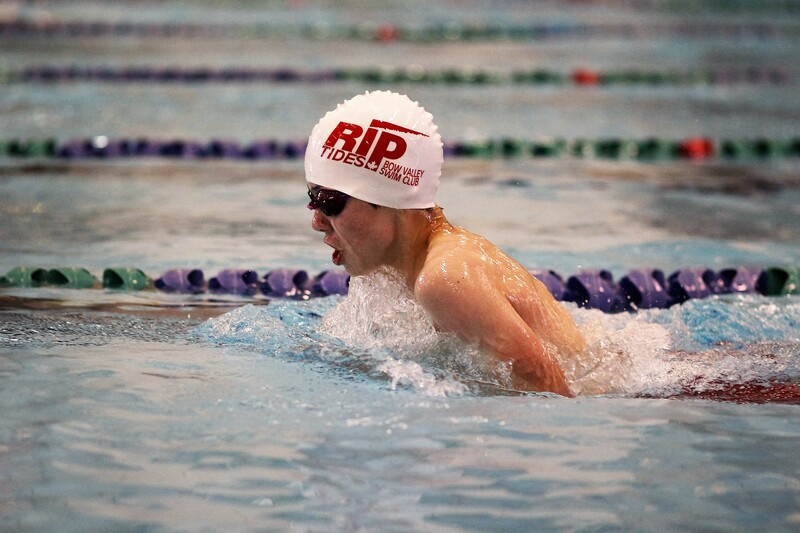 Six new club records were set as many Riptides swimmers attempted longer distance events such as the 400, 800 and 1500 for the first time at the Spring Distance Challenge Time Trial. 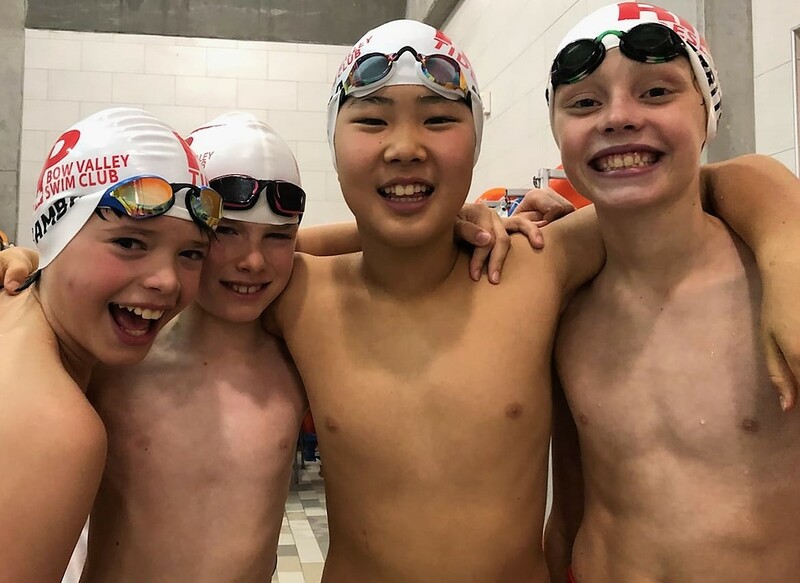 In the 200 medley relay, both 10&U club records were broken. The boys team of Andrew, Kai, Anthony, and Leighten broke their second record of the year, while Shallis, Joanna, Kiana and Jaime smashed the old girls record by 12 seconds, set in 2013 by Emily, Avi, Kassandra and Aydan. Avery, Avi, Domenic, Emiko and Jeremy all braved the 1500 free for the first time. Avi and Emiko both swam under Camryn’s old 11-12 club record, but Emiko set the new mark with a 19:54, just 8 seconds off the Nat time. 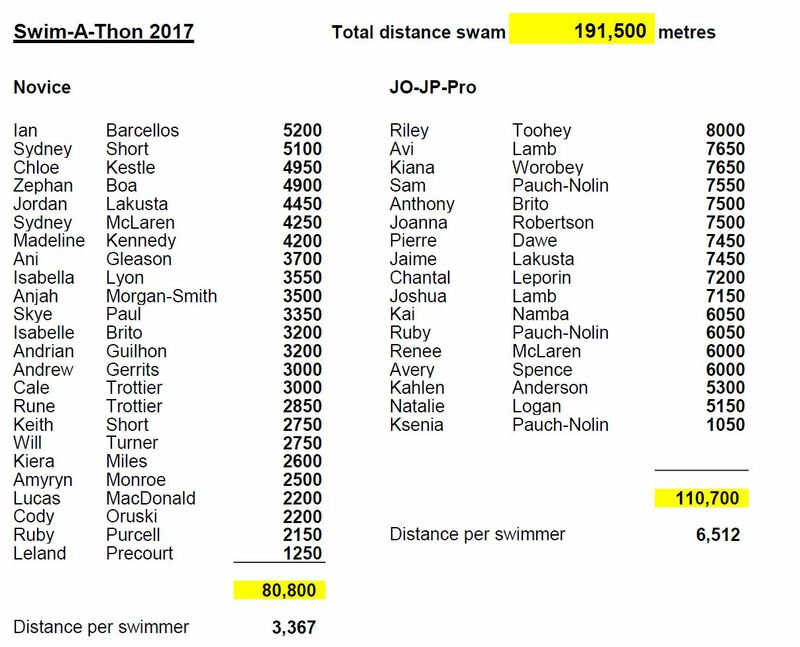 Neo swam 18:13 and smashed Simon Cuell’s 2010 15&O club record by 19 seconds. Anthony, Joanna and Kiana swam the 800 for the first time, a big distance for 10&U swimmers. 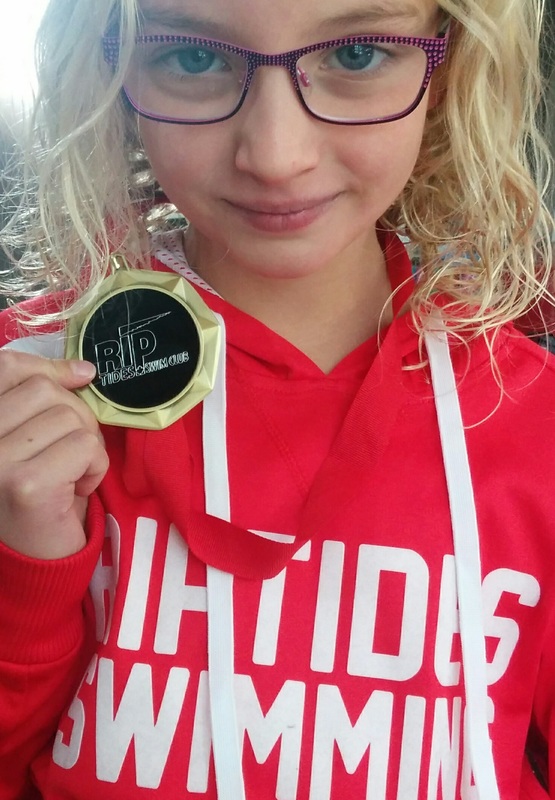 Anthony set a new Riptides club record with a 13:26, while Kiana’s 12:40 broke Camryn’s 2011 record by 48 seconds. Andrew, Kai, and Shallis were successful in swimming the 400 for the first time. In their second attempts at the distance, Leighten dropped 50 seconds and Jaime took 2 minutes of her personal best. In the 200 free, Natalie and Patrick took 1 minute off their previous best times while the youngest team members, Anjah and Bryn excelled at swimming the distance for the first time.